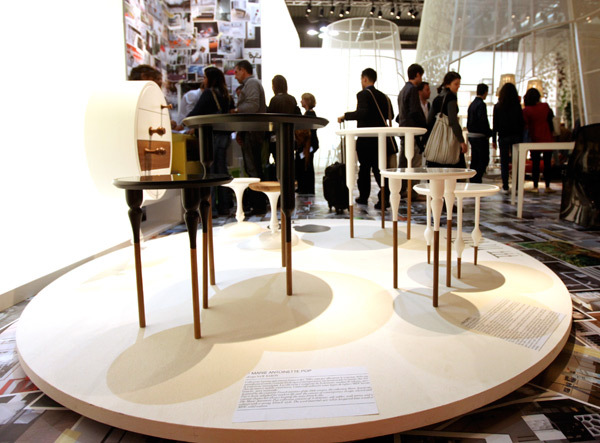 Still working my way through lots of milan pics, and had to share this one ~ aren’t they lovely? 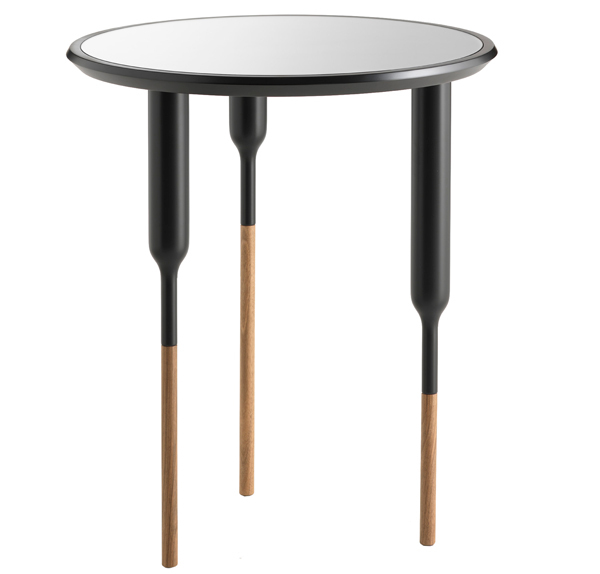 Sam Baron, the current Art Director of Fabrica (Benetton Group) has created the beautiful Philippe I coffee table for Casamania, made of lime-wood, MDF and walnut finished in white lacquer with transparent glass top/black lacquer with mirrored glass top. 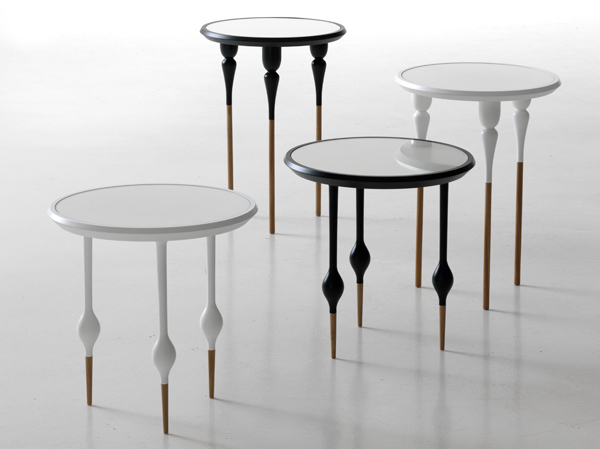 Sweet and reminiscent of Jaime Hayon’s style legacy at Fabrica…. take a peek at more pics on the next page! 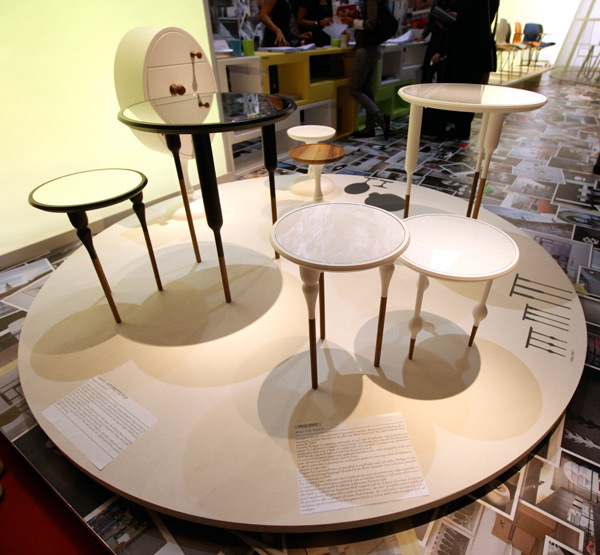 Philippe I is a mini-collection of ‘gueridon’ or small tables and café tables, the evolution of a formal language launched in the Marie Antoinette Pop Collection, presented by Casamania in 2009. Easy to place in any type of environment, either singularly or in couples, the collection is completed with an intimate dining or cafe table which evokes the romanticism of candle-lit dinners in the warm Parisian night. 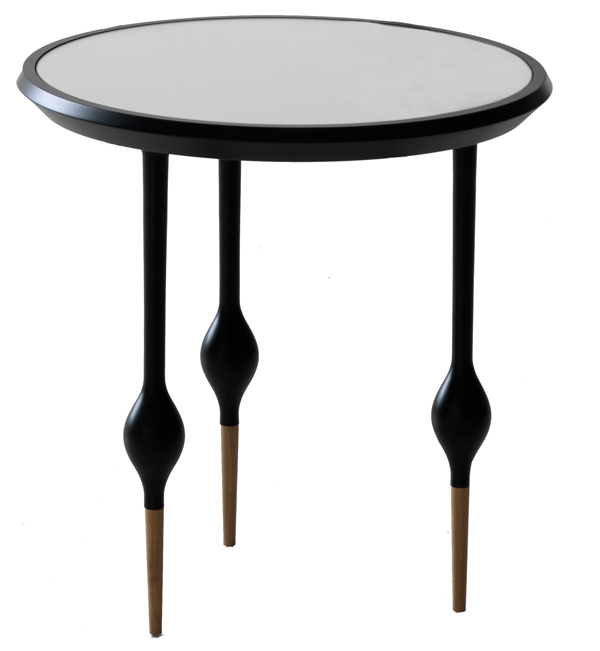 The table has explicit stylistic references to the 18th century French cabinetry tradition coupled with an attention to detail, manufacturing methods, and usability that are characteristic of our 21st century way of life.